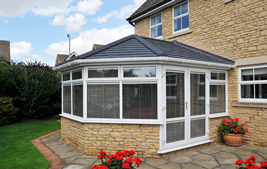 Why would you need an Equinox tiled roof? 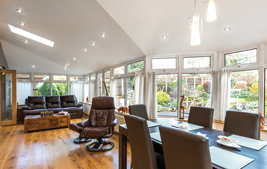 Everyone loves the ‘bringing the outside inside’ magic of a conservatory – and adding one can significantly boost the value of a house by around 7 per cent. 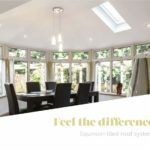 However, conservatories are notoriously fickle, responding to external weather conditions with astonishing speed to create a space that can be uncomfortably hot in summer, and chilly enough to require significant extra heating outlay in winter. When you’re dealing with a structure that’s exposed to the elements as much as the average conservatory, it’s crucial that every detail is finished to the very highest standards. 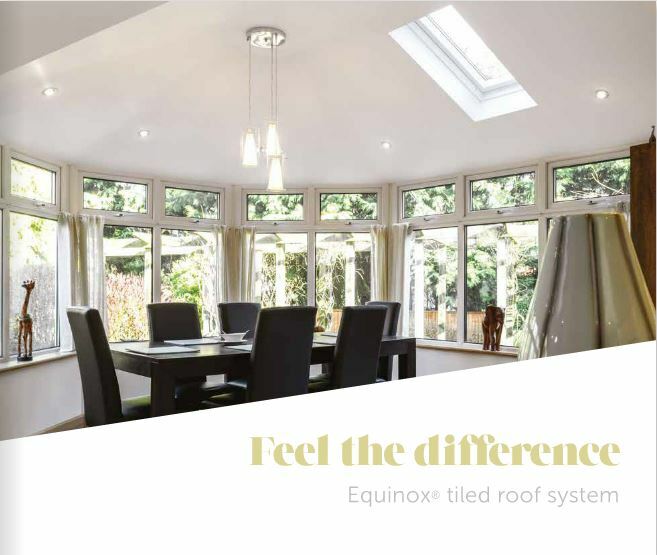 With an Equinox tiled roof system, you can be assured that each and every aspect has been rigorously tested to ensure a long-lasting, great looking product that will enhance your home to create a brand new living space that will inspire and delight. 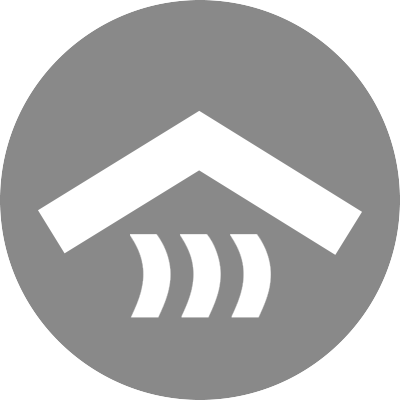 Equinox roof tiles are guaranteed to reduce leaks and condensation, which means less mould and fewer problems with damp. And the solid insulation panels offer vastly improved energy efficiency, with a U-value of around 0.15, meaning they offer a greener alternative that will cut down on heating bills while offering a fabulous year-round ambient temperature., and Equinox roof systems are fully compliant with Building Regulations Part L.
As well as offering superb performance, Equinox tiled roofs are a fabulously stylish option. 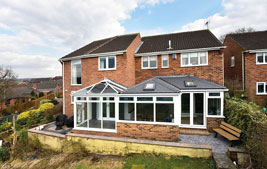 This roof system offers a range of contemporary and traditional options to suit every homeowner. Whether the project demands premium slate style tiles or standard steel tiles, there is a range of shades to suit, and the interior finishing comes in either plasterboard or tongue and groove timber specifications. 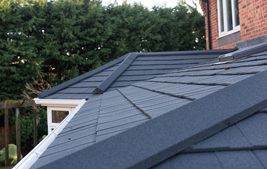 And, whichever finish you select, you can be assured that weather noise will be reduced – further adding to the appeal of this novel roofing system. 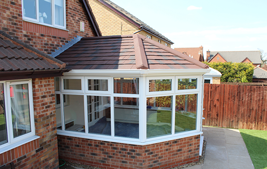 Improve your home with an Equinox tiled roof. 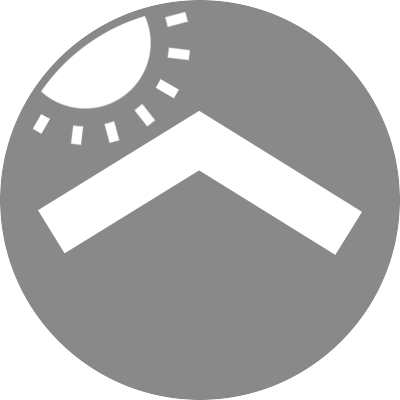 Equinox is an entire system that’s designed to maximize homeowners’ satisfaction with their conservatory experience. So a range of premium-quality rooflights is a vital component for that continued enjoyment – our team can find the perfect rooflight to let that golden light flood into this very special living space. 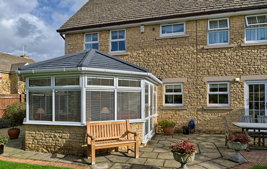 An Equinox tiled roof isn’t just suitable for conservatory roofs – versatility is the watchword of this uniquely accessible system, meaning an Equinox tiled roof looks just as good atop a large extension as a tiny porch. Whether you’re planning a brand new project or looking to enhance an existing flat-roofed structure, turn to Equinox for a solution that combines style with innovation. 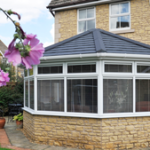 …call now on 02476 581858 to find out more, or fill in the contact form, along with your conservatory sizes and style for a quotation. Be sure to supply a daytime telephone number! 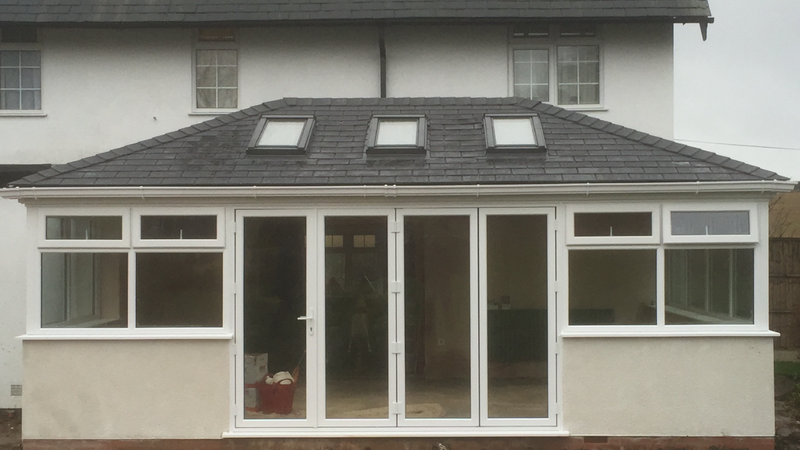 You want to be sure that the new Equinox conservatory roof matches the particular style of your property, so choose from two tile options available in a range of contemporary and traditional colours. 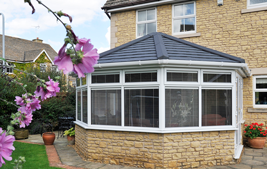 Equinox can be used with any conservatory roof style – Edwardian or Victorian and double hipped, gable ended, p-shaped and lean-to. 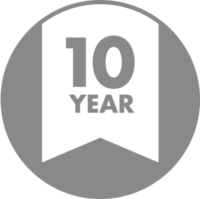 Guaranteed quality– 10 year guarantee on the roof system. • Reliable assured service. Windseal Double Glazing are approved Equinox installers and are experienced in replacing different types of conservatory roofing.